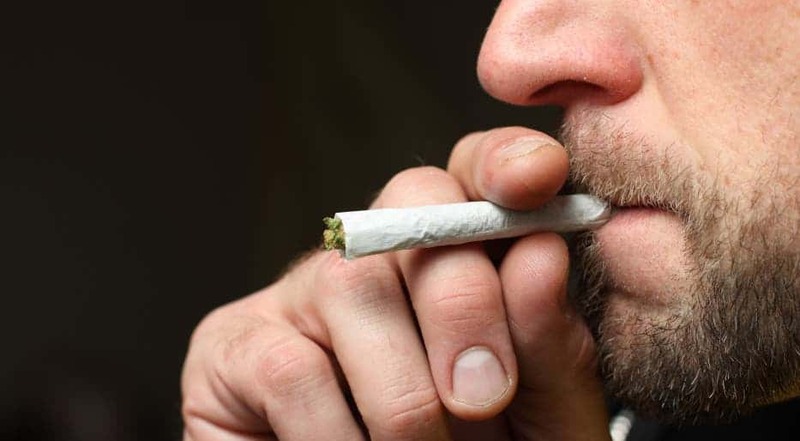 People who chronically abuse marijuana may be able to quit by replenishing the supply of a molecule that normally activates cannabinoid receptors in the brain, thus reducing anxiety and relieving mood. Cannabinoid receptors are activated by a neurotransmitter called anandamide. Like THC, anandamide is a cannabinoid, but one that your body makes. THC mimics the actions of anandamide, meaning that THC binds with cannabinoid receptors and activates neurons, which causes adverse effects on the mind and body. More specifically, anadamine, along with 2-arachidonoylglycerol (2-AG), is part of a class of compounds called endocannabinoids. These are natural signaling molecules that activate cannabinoid receptors in the brain, the same receptors turned on by the active ingredient in marijuana. When these molecules bind with cannabinoid receptors, they create a state of natural high, similar to the marijuana high, but without the downsides. Some users might believe that there aren’t any downsides. Studies have shown, however, that chronic consumers suffer from mood and anxiety disorders, which is kind of ironic since people smoke marijuana to relieve tension and anxiety in the first place. Indeed, smokers feel a lot more relaxed after the first joint, but in the long run prolonged, heavy use down-regulates cannabinoid receptors. Those receptors that lie in the amygdala are most vulnerable. The amygdala is a key area of the brain involved in regulating anxiety and the flight-or-fight response. You’re not wrong calling this a vicious circle, which is why some chronic users have turned their habit into an addiction. The role of the most-abundant endocannabinoid 2-arachidonoylglycerol (2-AG) is still poorly understood, but recent research is starting to reveal more on how these signaling molecules work their magic. A team led by Sachin Patel, a scientist at Vanderbilt University, bred genetically modified mice with impaired ability to produce 2-AG in the brain. These mice exhibited anxiety-like behaviors, and female mice also displayed behaviors suggestive of depression. But after an enzyme that breaks 2-AG was blocked, the supply of the endocannabinoid was restored to normal levels and these behaviors were reversed. 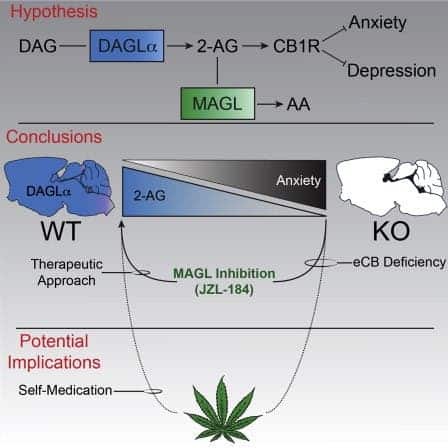 Mouse and human brains aren’t alike, but if chronic marijuana users are indeed found to have low levels of 2-AG, then this method of “normalizing 2-AG deficiency could represent a viable … therapeutic strategy for the treatment of mood and anxiety disorders,” the researchers conclude in their paper published in Cell Reports. Previously, the same demonstrated how chemically modified inhibitors of the COX-2 enzyme they developed relieve anxiety behaviors in mice by activating natural “endocannabinoids” without gastrointestinal side effects. Clinical trials might begin within a few years.